We had put up a video earlier about the Austin Air Healthmate, and received some questions on the filter itself. In this video I remove the filter from the unit and describe it’s construction and how it can help solve your air quality issues. Hey, everybody. A short time back, we did a quick overview or review of the Austin Healthmate Plus Jr. Unit. Of course, it’s very similar to the full size Healthmate unit. This one here handles about 700 square feet. The full size Healthmate handles about 1500 square feet. We’re using this, because it fits on the table better. We did get a lot of question about what’s the filter like inside of that thing, so we thought that certainly we should do another video to show what the filter actually looks like inside of the unit. Let’s go down this. I’m going to try to gracefully get the filter out on video. Basically, you just turn the unit over, and I have already done this. There’s four screws on the back. I already took them out. The bottom panel pops off and out comes the filter. There you go. 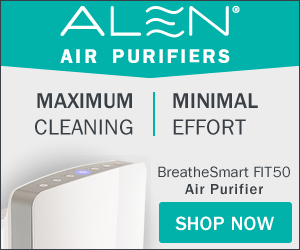 What we’re trying to say in the last video is this air purifier is truly an air purifier. Much different than the type of units that you’ll get at a discount store or at a general that, yes it might be significantly less expensive than this unit, but if you just have a media in there which is basically like a paper or cloth where the manufacturer just sprayed it with carbon. Then, they put up there that it’s carbon filter, not really a carbon filter like this. The Healthmate and Healthmate Plus, which is this unit, it has four levels of filtration. First, it has this media in here which is, I would say, little bit less than a quarter inch thick. That’s the media. As the air goes in there, that’s really just to take out the big things; air, big pet dander, that sort of thing. Then, within this filter it has … the next stage of filtration will get out the bigger chunks like pollen and that sort of large chunks, but not as big as dog hair that will already be out. The third level of filtration is six and a half pounds of activated charcoal. That’s quite a bit of activated charcoal, and it’s the Austin Air specialized blend of charcoal. Following that, there’s a pleated HEPA filtration filter inside of there, so you’re getting true HEPA. This, of course as I said, is a Jr. unit, so you get six and a half pounds of activated charcoal. With the fill size Austin Air unit, you get 15 pounds of activated charcoal. That’s it. That’s the filter for the Austin Air Healthmate Plus. If you have any questions, certainly let us know. Remember at Better Health Innovations, you can try this thing out. Try one of these units out for a full 90 days. If you don’t like it, you can just send it back. Austin Air also warranties their filters for five years, which is pretty much unheard of in the air purifier industry. As always, everybody have a great day.